(By CSZ Sports Writer Kenn Staub) Kyara Girvan and Brenna Campbell were named to the 2018 Class A All-State Team by the Pennsylvania Volleyball Coaches Association (PAVBCA). 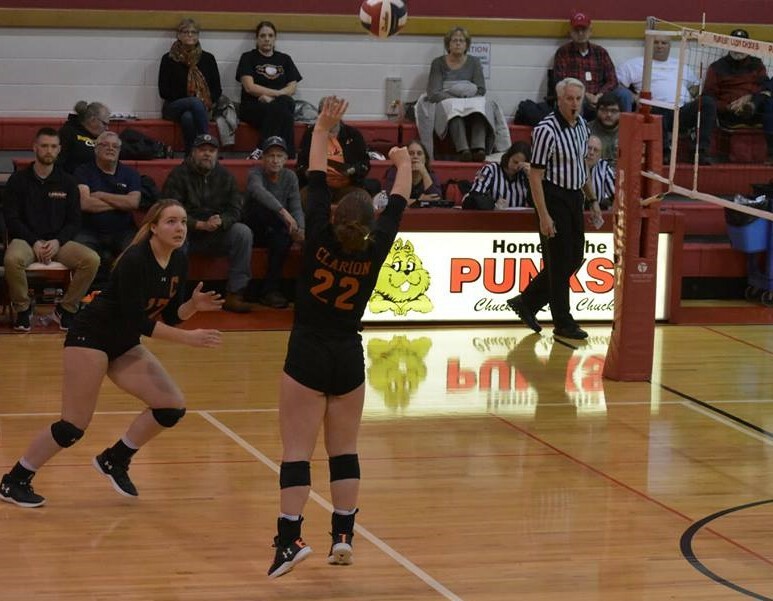 Both distinguished themselves during Clarion’s 16-3 season which saw the Bobcats capture the KSAC and District 9 titles enroute to a berth in the Elite 8 of the state tournament. 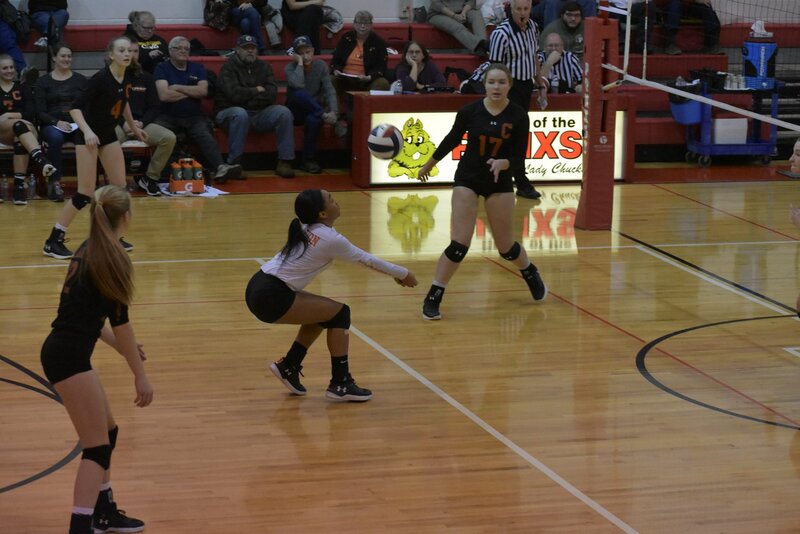 Campbell, a setter, directed the Bobcat’s offense, amassing 721 assists in 92 sets (7.84/set). The Clarion sophomore had 188 points on serve (45 aces) for a 3.03 per set average. She scored six points via kill. On defense Campbell came up with 154 digs (1.67/set) and blocked five shots (one solo, four assists). Earlier Campbell had been named to the All-KSAC first team and earned recognition as the District 9 MVP from the PAVBCA. This is Campbell’s second all-state nod in as many seasons. “It’s great to see Brenna get state recognition because she has an innate ability to run the offense,” remarked Coach Campbell. 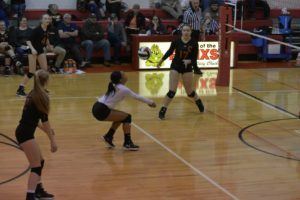 “At the libero position, the team relies on Kyara to have a great first contact off of a pass or dig. This directly affects Brenna’s setting choices as she runs the offense. We rely on both of them for a lot of ball control. The success of the hitters builds from what they do. Both are extremely defensive hustlers by their nature and that is always an asset to a team,” Campbell observed when regarding the value of both players to her squad. Joining Girvan and Campbell on the all-state team are fellow KSAC players Kylie Eaton and Olivia Boocks of AC Valley. Other District 9 players earning all-state recognition are Taylor Newton of Elk County Catholic and Casey Wooford of Ridgway.